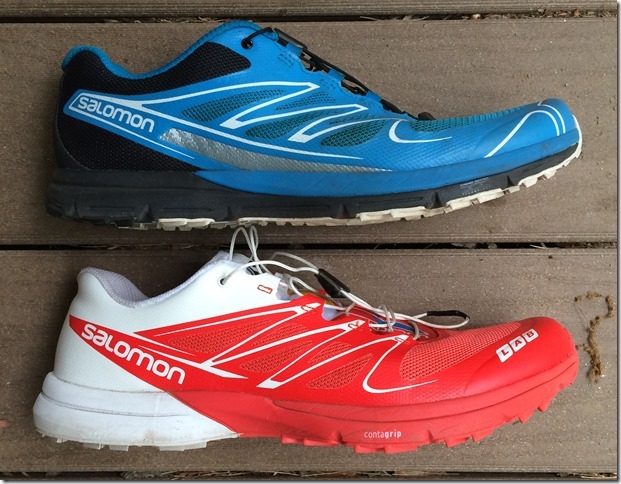 Earlier this year I wrote a review of the Salomon Sense Pro trail shoe. 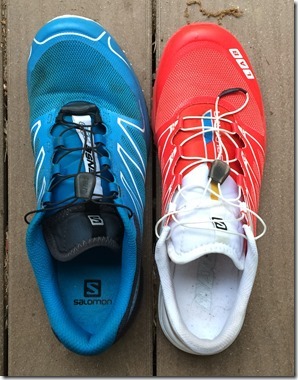 In that review I said that the Sense Pro “…feels like a racing flat built for the trails.” While I’d still stand by that description, having now run over 50 miles in the Salomon Sense 3 Ultra I’d say that though the two shoes are similar in many ways, the Ultra has an even more racing flat-like feel. 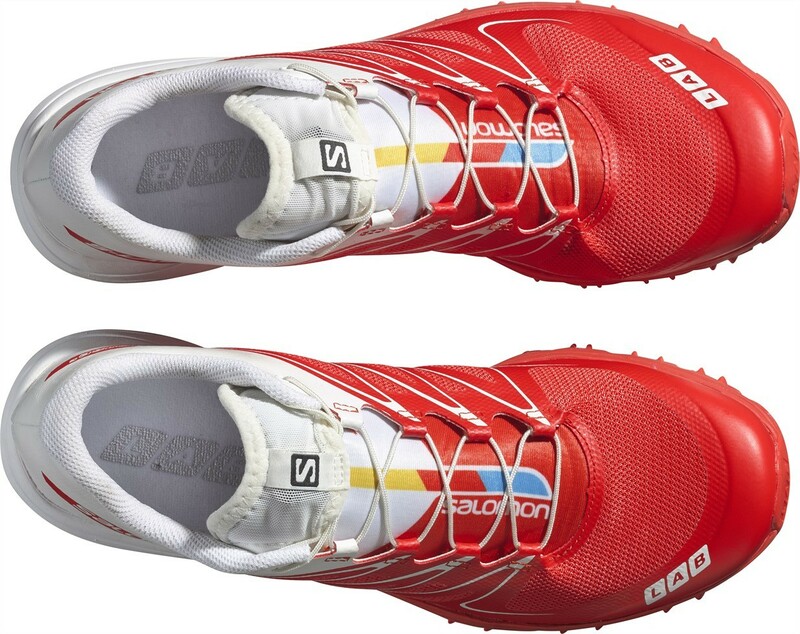 And given my preference for fast-riding flats on the road, it’ll probably come as no surprise that I have loved running in the Sense Ultras on dirt roads and trails. I spent two weeks in late July/early August coaching at the Craftsbury running camps up in northern Vermont. While there, I did almost all of my non-asphalt running in the Sense 3 Ultra (which was the majority of the miles I ran). Terrain included single-track trails and lots of rocky dirt roads, and even a 5K race that was mostly single-track (brutal but fun!). I was able to put the shoes to the test, and aside from developing a wicked stench they performed marvelously. In fact, I may like them even more than their “Pro” cousin (Disclosure: these shoes were a personal purchase during a shoe-sale induced moment of weakness). 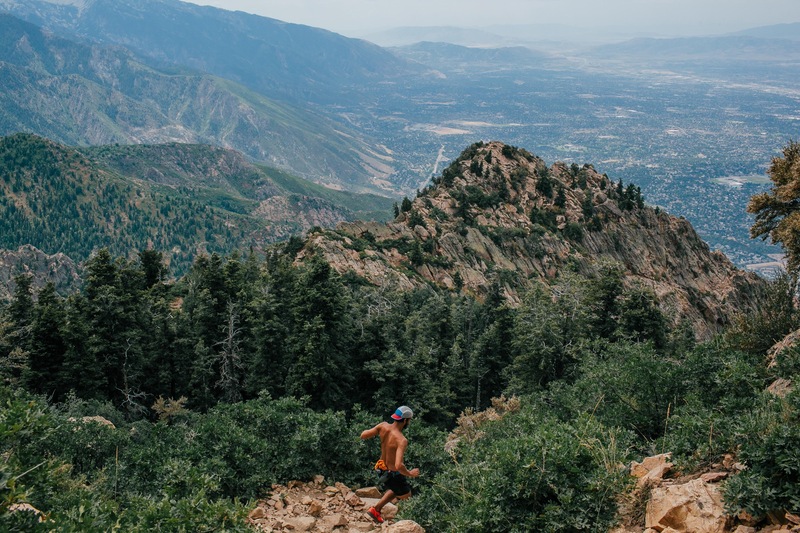 The Sense 3 Ultra is in essence a low-profile trail shoe built for running fast off-road. Per Running Warehouse it weighs in at 7.8oz in men’s size 9, and has a stack height of 19mm heel, 14mm forefoot (heads up – a bunch of Salmon shoes, including the Ultra, are currently on sale through 9/1 at Running Warehouse). In contrast, the Sense Pro is about 1.5oz heavier and adds 3mm of stack to the forefoot and heel. So it’s just a bit more shoe than the Ultra. For another comparison, the stack height of the Saucony A6 road racing flat is 17mm heel, 13mm forefoot, so pretty similar to the Ultra. The upper of the Sense 3 Ultra, which again is very similar to that of the Sense Pro, is very nicely constructed and has a feeling of quality about it (which it should for an MSRP of $160). The top of the forefoot and small portions along the midfoot are composed of a tight mesh and there are extensive welded overlays covering much of the upper (including a welded rand along the junction between the upper and sole). Given the amount of upper covered by overlays, this is not a terribly breathable shoe (might explain my stench issues). Unfortunately, though I’ve soaked the shoes running in wet grass and rain, I never fully submerged them so cannot comment on drainage. The toe bumper is flexible yet provides good protection. The “Endofit” tongue of the Ultra (see image at left) wraps around both sides of the foot and attaches to the footbed at the junction of the upper and sole. Same design as in the Sense Pro (did I mention they were similar shoes? ), and it helps to keep debris away from the foot (though grit does tend to collect between the upper and tongue). 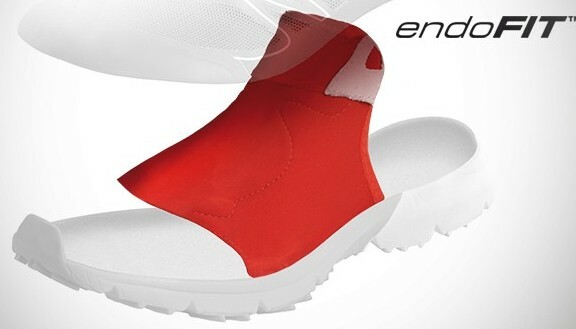 This Endofit design hugs the foot and contributes to the performance feel of the shoe. As with the Sense Pro, the Ultra has speed laces which work well for me, though they are a bit longer than necessary. There is a pouch at the top of the tongue that can be used to tuck away slack – it’s a bit hard to access after cinching the laces tight but you can get them in there with a bit of fiddling around. I’d describe the fit of the Ultra as racing-flat snug. Perhaps a bit snugger than the fit of the Sense Pro, particularly up front (see comparison photo at left). However, for some reason both shoes seem to work well on my feet and I haven’t had any blistering, abrasion, or excessive toe squeezing. I haven’t run ultra distance in these shoes (my max in them is 10 miles) so that would be a better test of fit with extended wear, but I’ve had no issues with comfort so far. 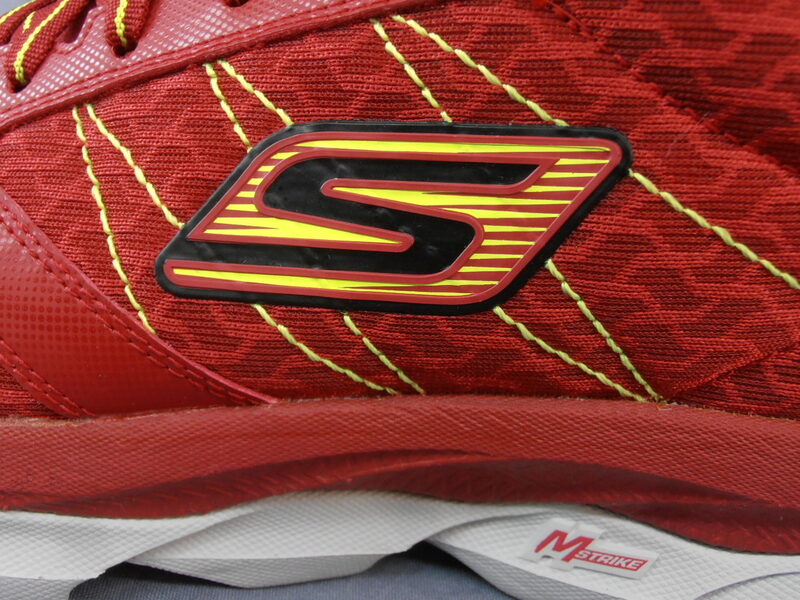 The sole of the Sense 3 Ultra is low-profile and firm, which contributes to the fast feel. 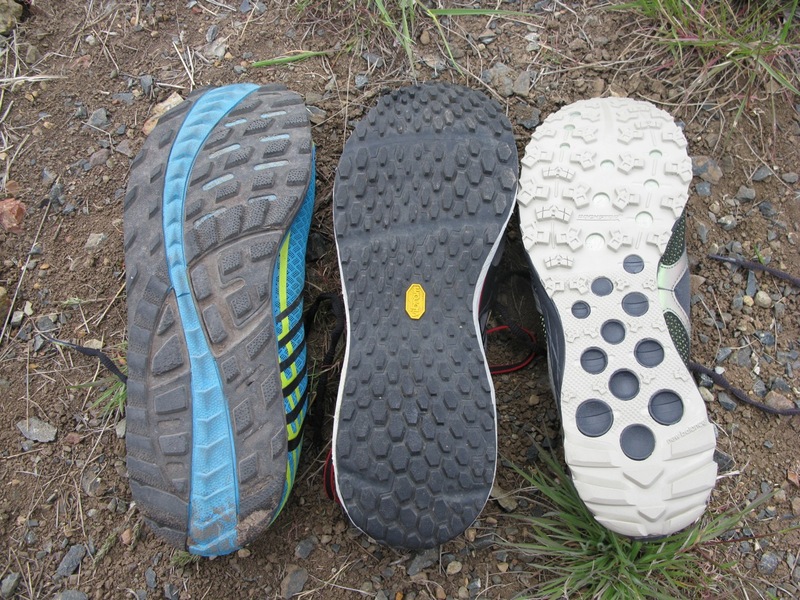 The outsole is thin with small triangular lugs, so weight of the sole is not excessive (an issue I had with the Merrell AllOut Rush that I reviewed last week). This is not going to be a go-to shoe for running in mud, but traction was adequate for the types of terrain I’ve run on in them (single-track, grassy cross country ski trails, dirt roads). In terms of protection, the Profeel-film rock plate (gray areas seen in the forefoot cutouts in the image above) did a good job handling roots and rocks, never had any issues stepping on hard stuff on the trails. 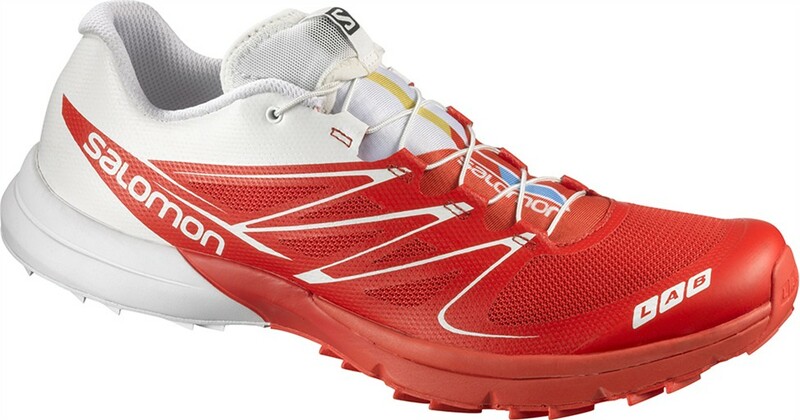 The Salomon Sense 3 Ultra is a low-profile, lightweight shoe that feels fast on the trails. I’ve enjoyed nearly every mile I’ve run in them, with my only real complaints being that they are a tad snug and they have developed a hard-to-kill stink. If you have wide feet, look elsewhere, but if you like a performance fit for cruising in the woods, these would be a great option. 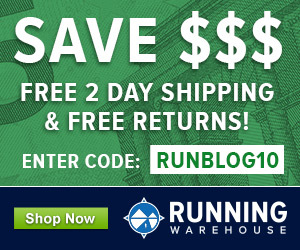 The Salomon Sense 3 Ultra (and several other Salomon shoes) are currently on sale through 9/1 at Running Warehouse. In the US it is also available at Zappos (currently on sale) and Amazon. Outside the US it can be purchased from Wiggle (currently on sale there a well). 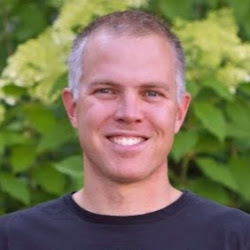 Purchases made via these links help to support the production of reviews like this one – thanks! 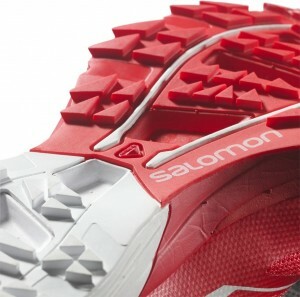 Love what Salomon puts out and they really know how to put quality materials and construction together. Unfortunately for me, I had trouble with what I think was a combination of the speed laces and last shape in getting a good fit with these (their Soft Ground cousins and the Pros). Great overall shoes though. I recently got in the Fellcross 3 which has a different last that feels spot on to me so looking forward to giving those a try. It is a narrowish fit. Can’t quite figure out why this last works for me compared to other snug shoes, but it does for some reason. Definitely agree on Salomon putting together quality stuff.. This is unrelated but did you read the article about the masters elite marathoner who only runs in crocs. Looks like you are going to have a new brand to add to your list of reviews! I do love my Target knockoff Crocs! Haha. I’ve noticed running down the drive way after the kids that my crocs do have good cushioning. But as a trail runner, I’m not sure about the security of fit on technical trails!! !